Modern and streamlined, the Lusso Headboard brings together straightforward shape and sleek textures. 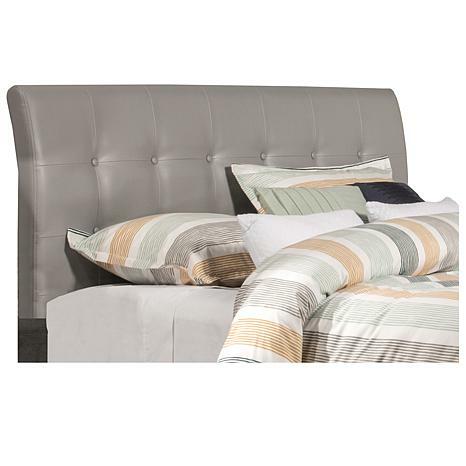 The Lusso’s tufted, rectangular headboard has a gray faux leather. Available in twin, full, queen and king sizes. Requires a mattress and box spring. Includes: headboard and frame. Assembly required. Constructed of wood and PU fabric, faux leather. Indoor use only. Dust with a clean, dry cloth. Warranty of one year. Country of origin: Malaysia.